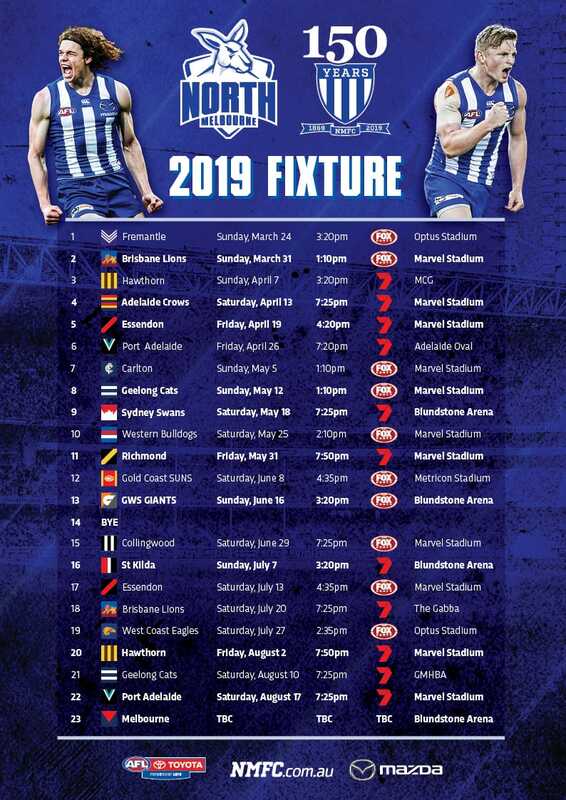 The North Melbourne Football Club is a proud, family friendly club that seeks to ensure all supporters enjoy the football in a friendly and safe environment. Whilst barracking and supporting the players is a part of the game, offensive language and behaviour is not and won’t be tolerated. Any person that does not obey this code of conduct may be removed from the stadium and may incur suspension of membership, depending on the severity of the behaviour. Please advise security if you experience any difficulties with the behaviour of other patrons, and they will act appropriately to address the issue. Alternatively, we recommend utilising the 'Dob in a Hoon' initiative at Etihad Stadium. Patrons can SMS the nature of the problem and location to 0427 767 768. This number is immediately responded to by Event Control. Patrons are able to discretely report issues by using this service.